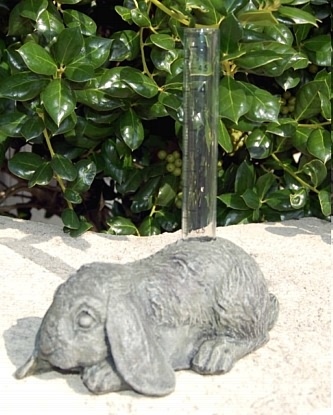 For the bunny lovers, we highlight this sweet bunny rabbit rain gauge for adding a whimsical touch to the garden. Sculpture is created from fiberglass resin and marble aggregates. Available in several finishes. Dimensions: 2.5" X 4" X 7.5"